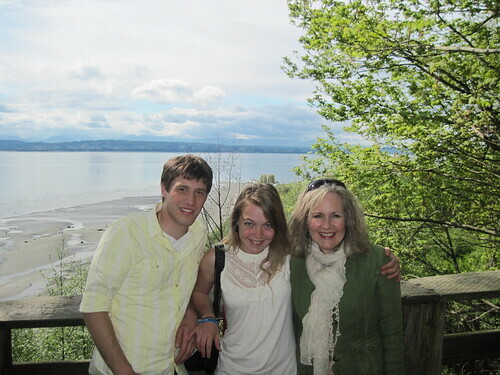 Discovery Park - Mother's Day, a photo by Southworth Sailor on Flickr. After working hard at the rental house on Friday and Saturday, Esther and I needed a break from Southworth for Mother's Day. We went over to Seattle and picked up Markus and Steph. We ate at an Indian restaurant in Ballard and then went on a hike at Discovery Park. The weather was just nice enough for a walk along the top of Magnolia Bluff and to the lighthouse below. We ended the afternoon at a Starbucks in Magnolia. Markus begins a new job this week downtown at a law firm transcribing claims. Steph is looking forward to graduation next month and seeing her parents.